Transmits and receives data over single-mode fiber. 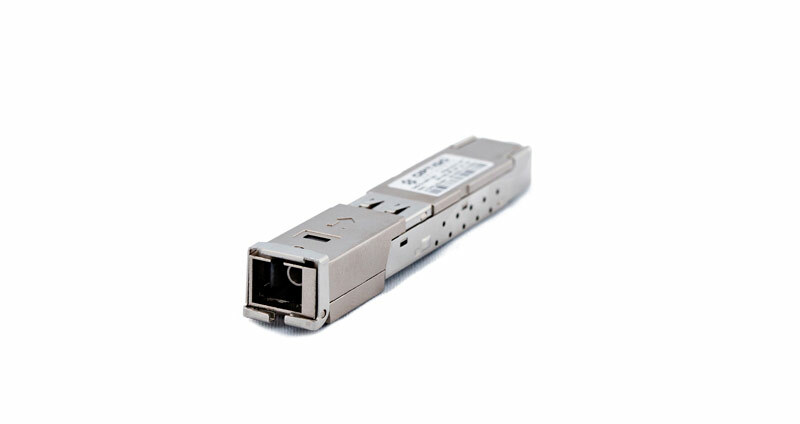 Optigo Networks helps achieve scalability and high-speed communications with small form-factor pluggable transceivers (SFPs) for Passive Optical Networking (PON). These small devices transmit and receive light on fiber and translate it into electrical signals for the switches. The SFPs plug into the Smart Aggregation and Edge Switches’ SFP ports, and then connect to the fiber. All fiber ends should be terminated with an SFP. These SFPs are unique to Optigo Networks’ Connect product line.